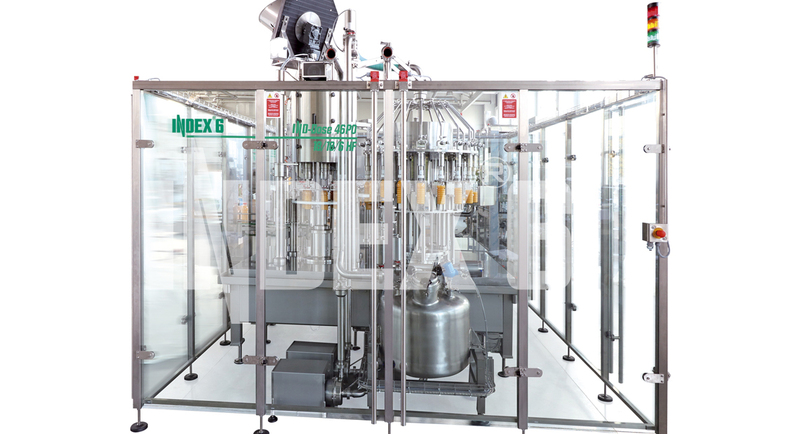 INDEX-6® possesses ultimate technologies both for cold filling and for hot filling of natural juices in PET and glass bottles. For hot filling we utilize the machines from the IND-Dose 46HPO (Hot Pressure Over) series, which work under light overpressure facilitating level dosing and filling with contact between the neck and the filling valve, maintaining the set filling temperature by partial recirculation of the product. 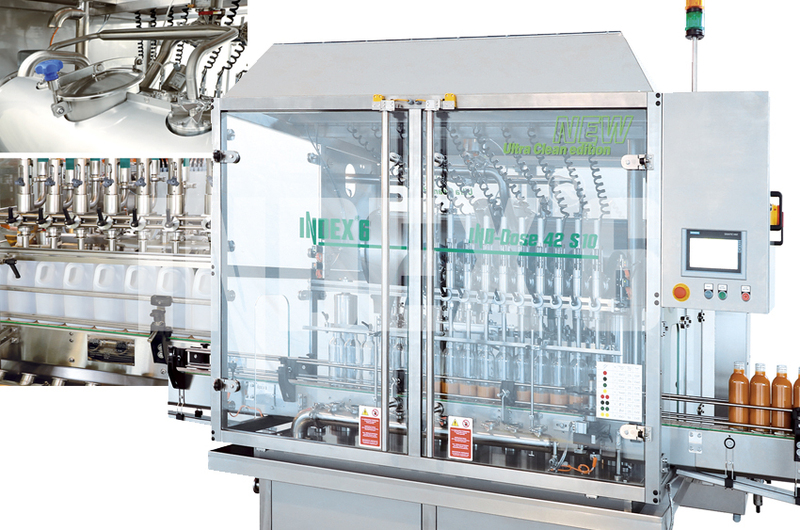 These machines are CIP washable and sterilizable without need for false bottles, which eliminates the manual operations and turns out to be a significant advantage for the higher capacities. For cold filling we utilize the blocks from the AssetClean™ series with their fundamental feature of providing filling in clean environment preventing any additional contamination of the product, while keeping dosing accuracy and efficiency very high. 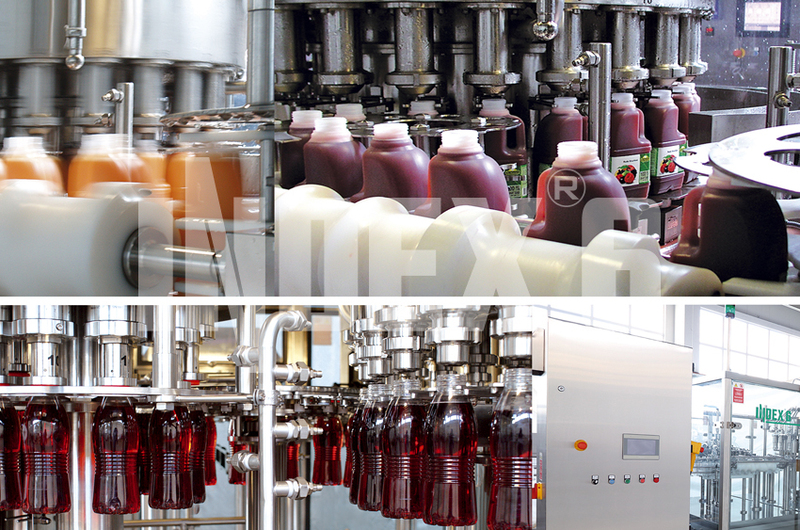 The different configurations of the bottling systems that we offer cover the capacity range of 60 to 400 bottles per minute.